Milos Raonic outlasted Stan Wawrinka in a gruelling four-set shoot-out to book his spot in the third round of the Australian Open. Raonic survived 6-7 (4-7) 7-6 (8-6) 7-6 (13-11) 7-6 (7-5) against 2014 champion Wawrinka after more than four hours in Melbourne on Thursday, marking the longest match the Canadian star has won in his career. 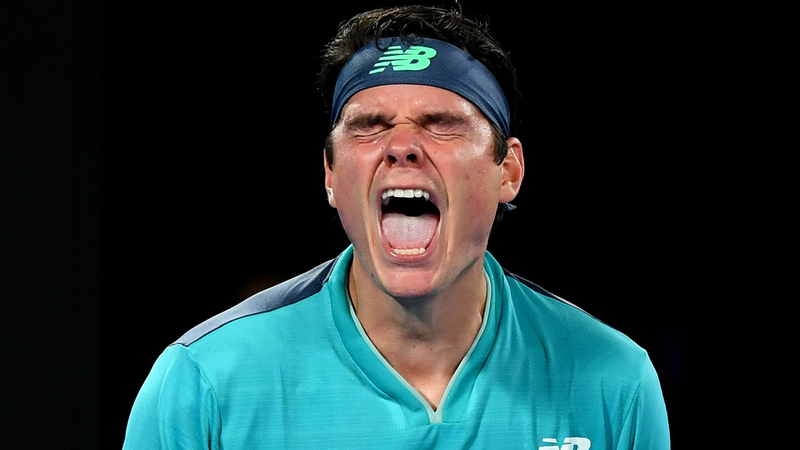 Four tie-breaks were needed as 16th seed Raonic - a quarter-finalist or better in three of the past four years at Melbourne Park - prevailed in humid conditions on Rod Laver Arena. Raonic fired down 39 aces compared to Swiss Wawrinka's 28, while he topped the winners column 84-66 en route to the next round. Next up for Raonic is Frenchman Pierre-Hugues Herbert.